Marilyn is a licensed San Diego Realtor and Home Buyer Specialist for Tony Elias & Associates. She is dedicated in understanding every buyer’s needs, expectations and goals. 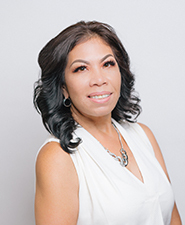 In addition to finding the right home and negotiating the right price, she goes above and beyond to ensure that there are no typical complications in the home buying process. She will provide you with a unique experience and be there every step of the way! Marilyn is an English/Spanish/Tagalog speaking agent.